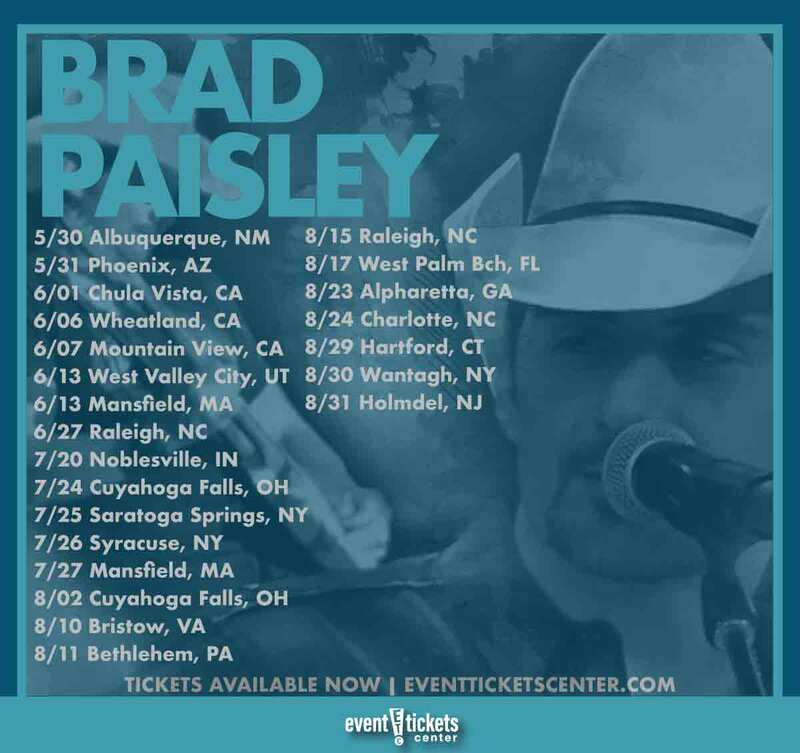 Country singer Brad Paisley has revealed he’s hitting the road on an all-new tour this year, bringing the chart-topping artist to a stage near you in 2019! Paisley will kick things off May 30 at the Isleta Amphitheatre in Albuquerque, New Mexico before setting out to hit a slew of cities across the US. Stops include Phoenix, Mountain View, Syracuse, West Palm Beach, and Charlotte. A final performance at the PNC Bank Arts Center in Holmdel, NJ will wrap things up on August 31. The country superstar will be joined on stage by special guests and fellow country artists Chris Lane and Riley Green for select dates. Paisley has been making waves in recent weeks since the release of his video for “Bucked Off,” his latest single. The singer asked fans to submit videos of their breakups, resulting in a mish-mosh of staged and seemingly-real cellphone clips scattered with footage from his surprise Nashville concert at Tootsies Orchid Lounge late last year. The “Whiskey Lullaby” crooner has a few special gigs lined up before setting out on the 23-date trek, including appearances at the Houston Livestock Show and Rodeo in February and the San Antonio Stock Show And Rodeo in mid-March. 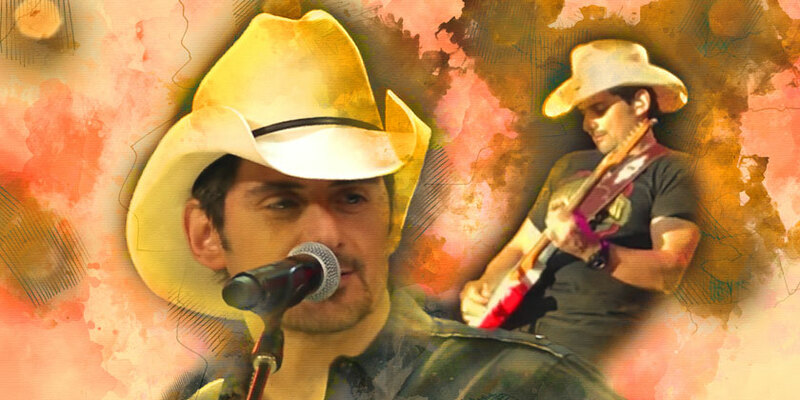 Country singer and guitarist Brad Paisley emerged in the early 2000s, effortlessly pushing old country into the new millennium by blending the past with the present. Paisley went straight to the top of the charts with the release of his first album, Who Needs Pictures, in 1999. The album housed four singles, all of which were hits on the Billboard country charts including his first number one single, “He Didn’t Have to Be.” The breakthrough success was a sign of things to come for the rising star, who has continuously maintained his presence at the top of the charts since making his debut. Paisley has released a total of 12 studio albums over the course of his 20+ year career, each of them earning a Gold certification or higher from the RIAA. He has charted 32 top ten singles on the US Billboard Country Airplay chart, 19 of which have taken the number one spot. In 2009, Paisley set a new record for the most consecutive singles (10) reaching the top spot on that chart. He has sold over 11 million records to date, taking home three Grammy Awards, 14 Country Music Awards, 14 Academy of Country Music Awards, and earning country music’s crowning achievement – becoming a member of the esteemed Grand Ole Opry in 2001. Where is Brad Paisley playing near me?